We have seen what bees need. In particular, to be a successful beekeeper you should be constantly considering what bees need, rather than merely what you might need. Having that perspective brings you closer to understanding the small universe in which they live and better positioned to identify issues. With that said, you need things too! 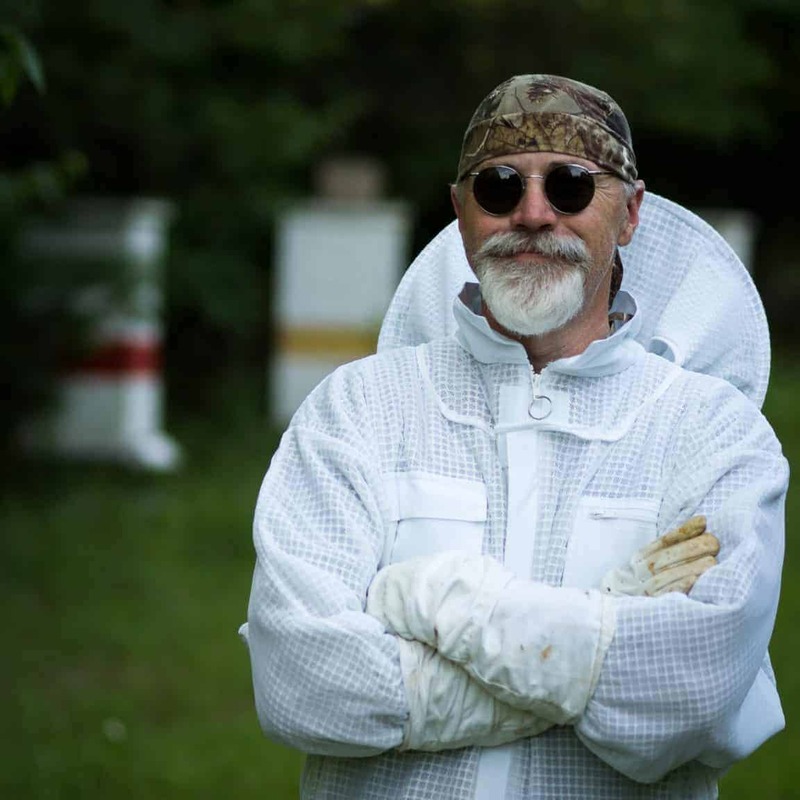 This article provides a high-level view of the basic needs of a beekeeper. The intent is not to drill down here in glorious detail to everything you will need. Subsequent lessons will provide a great deal of guidance on such matters. Rather, this is an overview allowing you to collate the things that should be on your mind as you consider a move into beekeeping. Let’s start with an obvious one – a place to locate your bee friends. For many, the backyard is a very viable location. A beehive doesn’t really need much space. The physical dimensions of a beehive are quite small and the primary space-related issue is a suitable flight path for your bees. Even then, it’s quite common for bees to have to fly “out and up” to rise above a nearby obstacle. Indeed, this is often done quite intentionally by beekeepers eager to keep the peace with neighbors. Urban beekeeping is perhaps the best way to illustrate how beekeeping doesn’t require a huge amount of space. With a little planning, mainly about how your bees get from and back to the hive entrance, the space requirements are not that burdensome. Yes, you are going to need one of those! This is, of course, the focal point for everything your bees need and you will become very familiar with the inside and outside of this special little box in short time! One qualifier. We said you will need “a hive”. Right off the bat, think in terms of having more than one hive, either initially or at least very soon after you start. We will consider the reasons this is so important in another lesson but it is very prudent to plan from the outset for at least two beehives. There are many types of beehive used by beekeepers today. 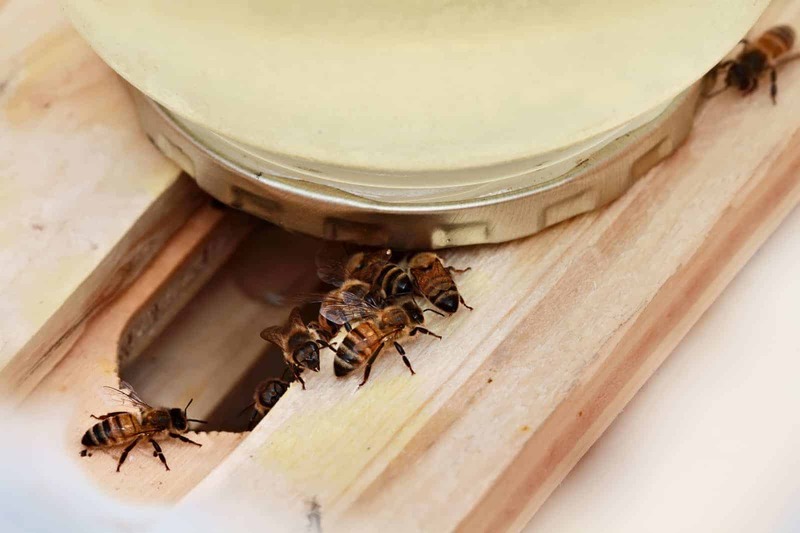 But the vast majority of them use one of three types of hive – the Langstroth, the Warre or the Top Bar. 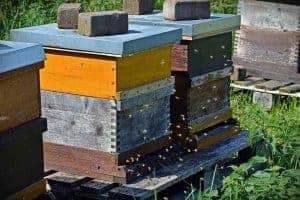 Even then there are nuances but consider these three hive types as your “prime candidates” for the hive you will eventually purchase. One of the main reasons these three types of hive are so popular is that, to varying degrees, they are “modular” and expandable. The Langstroth is a good example, with an easy way to add boxes (often called “supers”) to provide your bees with more space. 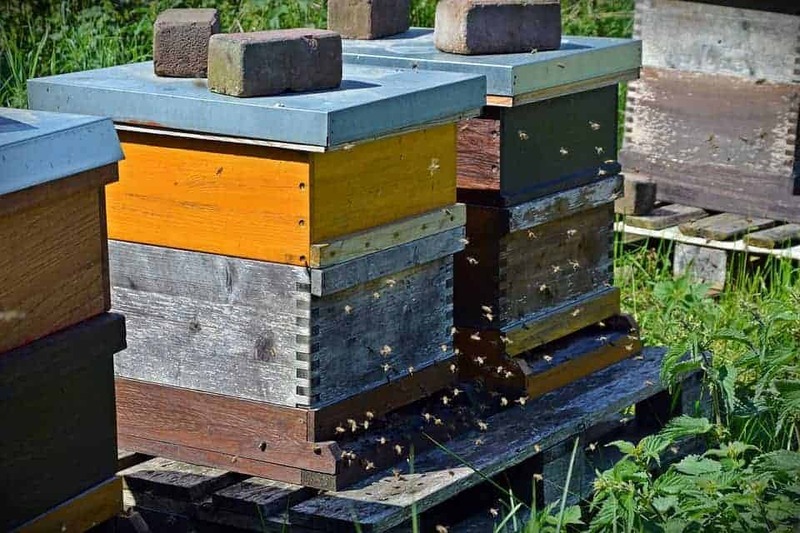 Understanding how much space to provide for your bees and when to expand is an important decision for the beekeeper, so having a hive design that easily supports expansion is key. Beyond the beehive itself, you will need various items to augment the basic functionality. An example is an “entrance reducer”, a simple device. It’s actually just a piece of wood, but beekeepers like to give it a fancy name! To be fair, the name explains precisely what it does. It reduces the size of the entrance to the hive so that a new or weak colony only has to protect a smaller space from robbers. And you guessed it – we will be covering that too! How are hive accessories evolving? Today, we are seeing an ever-growing number of technical solutions to solve beekeeping issues, such as weight and temperature monitors. Beyond the hive and its various accessories, you will also need a few tools. This is again an area filled with choices but there are some basic requirements all beekeepers will have, which are actually pretty small in number. These include a hive tool and a smoker, for example. Rest assured, you don’t need a truckload of tools to be a beekeeper. When you celebrate your success as a beekeeper – or rather your bee’s success – you might wish to harvest some honey from the hive. Depending on your type of hive and how much time and effort you have available, there are many choices here. Beyond the honey, there is also beautiful beeswax available, which can be used for many purposes. Finally, more beekeepers are turning to propolis as another valuable product of the hive. By the way – and we’ll get to this later – please consider the first year of a colony, when your bees are going all out to establish themselves, as being all about the bees. Don’t get drawn into thinking that honey is there for the taking. You have no idea how much they will store going into the winter and they may need all they store. So taking lots of honey in the first year is going into the unknown and we don’t think that tasty toast is worth losing your bees. We’ll look in more detail at this in Course 3 : A Healthy Beehive. Anything you take should be considered a “bonus”, of sorts. The bees come first when it comes to honey! Bee stings are no fun and even though we have described how they are largely (but not totally) avoidable, protective clothing is an important consideration. You want to be a calm, relaxed beekeeper and when you start beekeeping don’t be that beekeeper without protective clothing! Every beekeeper finds their balance over time, but the one aspect we’d strongly suggest you maintain at all times is protection of the face and head. PS : Like this photo? We do too! That’s Ken, one of our happy customers wearing the Deluxe Ventilated Bee Suit he purchased from us in the summer of 2016. He loved it, we love his super-cool look and we thank him for allowing us to feature his image. Your bees won’t just sit there and take care of themselves! Bees are VERY good at taking care of themselves. They do it all over the world, on their own and have done for millions of years. So, what’s left for the beekeeper? 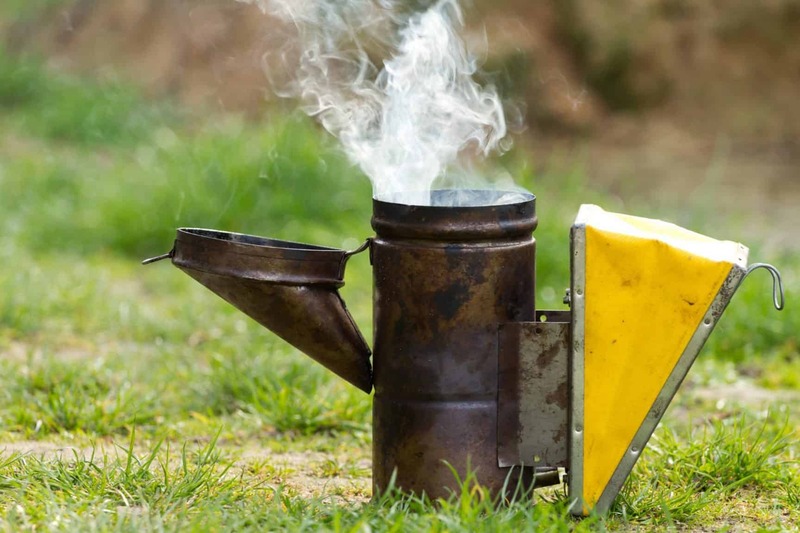 The degree to which you “tinker” is a source of some debate within the beekeeping community. At the extreme end, you will find beekeepers who claim it’s a major commitment and will take a lot of time. We even had one beekeeper tell us, with some sense of pride, that “it’s a 24 x 7 x 365 commitment”. Putting aside the fact he has his math wrong (unless he truly meant working for 7 years, non-stop! ), we are going to respectfully disagree, even with the sentiment. At the other end of the spectrum is the “extreme follower of natural beekeeping”, who thinks being in the same zipcode as the bees is an intrusion on their natural way of life! We jest, of course, but you will find very different philosophies on what is appropriate in terms of the amount of inspections you undertake. You will want to be aware of what’s happening in your beehive and that means the occasional inspection. But these are brief and focused. We will have lots more to say about the details of inspections. Since we’re talking time, we do have a warning for you. If beekeeping grabs your interest in the same way as it has for many, then be prepared to get sucked in. There are so many aspects to beekeeping – from the practical to the hands-on to the scientific and maybe even to the spiritual – that there’s every chance you will want to understand and absorb yourself in bee-related information. A lot. Read a book. We’ve covered that and you will find great enjoyment with many of the wonderful bee-centric books available. Browse the web. Clearly, there is a great deal of information available – and ever-expanding. We hope PerfectBee will be a regular place for you to visit! Beekeeping clubs and mentors. We touched on that too. Attend a club meeting, shake some hands and have some fun learning from others. Beehive monitoring. An ever-expanding area of beekeeping, it’s now possible to monitor all sorts of data from your hives, including weight, temperature, humidity and more. We even heard of one product capturing the number of bees flying into the hive – in BPS (Bees per Second)! This is a high level view of some of the “needs” you have as a beekeeper. We will be drilling down into all these topics in other articles.